Let’s start with the basics, shall we? For those unfamiliar, Instagram Stories is a feature within the Instagram app that lets users post photos and videos that disappear after 24 hours. The content you share on your Story doesn’t appear on your profile page or in your followers’ main feeds – instead, it lives at the top of their feed alongside the Stories posted by whoever else they follow. Why should you use Instagram Stories? You might be wondering why you’d put time and energy into creating something that lasts for less than 24 hours? Because people LOVE Instagram Stories. They’re easy to watch and they inspire higher engagement than typical posts – the Instagram algorithm measures engagement and rewards accounts that effectively engage users. So, if you’re regularly posting interesting Instagram Stories, the rest of your posts will also rank more highly in your followers’ feeds. Also, you can make your best Stories last longer than 24 hours by saving them to your profile page, where they will be available to anyone who visits your profile. They’re called Stories for a reason! ;) Go behind the scenes at one of your company’s events, describe a day in the life of an employee, illustrate the experience of a customer, demonstrate how to use your product or service, host a “takeover” by an influencer, partner or collaborator, etc. Use Stories to speak with your current and potential customers. Ask for feedback (comments on Stories are private), run polls and contests, pose questions, offer tutorials, host Q&A sessions, etc. Think of Stories as a less formal way to communicate with current and potential customers, allowing them to get a more authentic look into your company, your culture and your values. Like we mentioned before, the content is temporary, so it’s an ideal place to get creative, run experiments and find out what works and what doesn’t. In the process, you’ll help make your brand more human and relatable. Ready to get started? Check out this article to get a step-by-step guide to creating your first Instagram Story. Need some additional support? We’re happy to help you strategize, brainstorm, plan, create, measure, etc. Sorry to break the news, friends, but banner ads are dead. They’re annoying, interruptive and ineffective and there’s a new ad in town – the native ad. Well, they’re annoying and worse, they often interrupt you while you’re trying to do important things on the internet like read an article about the 53 cutest dog photos of 2018. Banner ads are next-level annoying on mobile devices where screen space is more limited and you have to use extra time and energy to scroll past ads to get to the content you actually want to see. Therefore, it’s no surprise that over half of clicks on mobile banner ads are accidental. So, what should you turn to instead? The native ad! It’s an ad that looks like it belongs on the website you’re viewing – because it matches the form and function of that website. 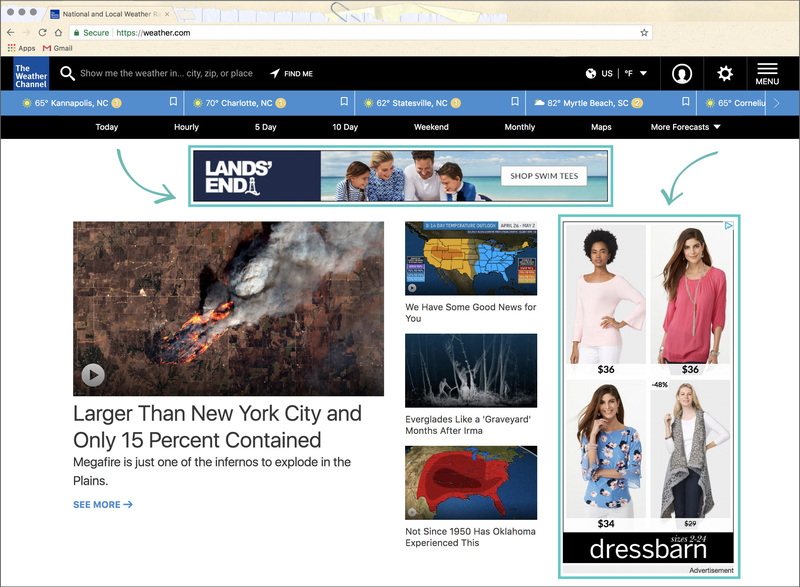 Good native ads provide relevant, useful information to your viewer (related: check out our recent post about content marketing). Examples include sponsored content, like this article from the satirical news website, The Onion: Woman Going to Take Quick Break After Filling Out Name, Address on Tax Forms – you’ll notice that it’s sponsored by H&R Block. Makes sense, right? 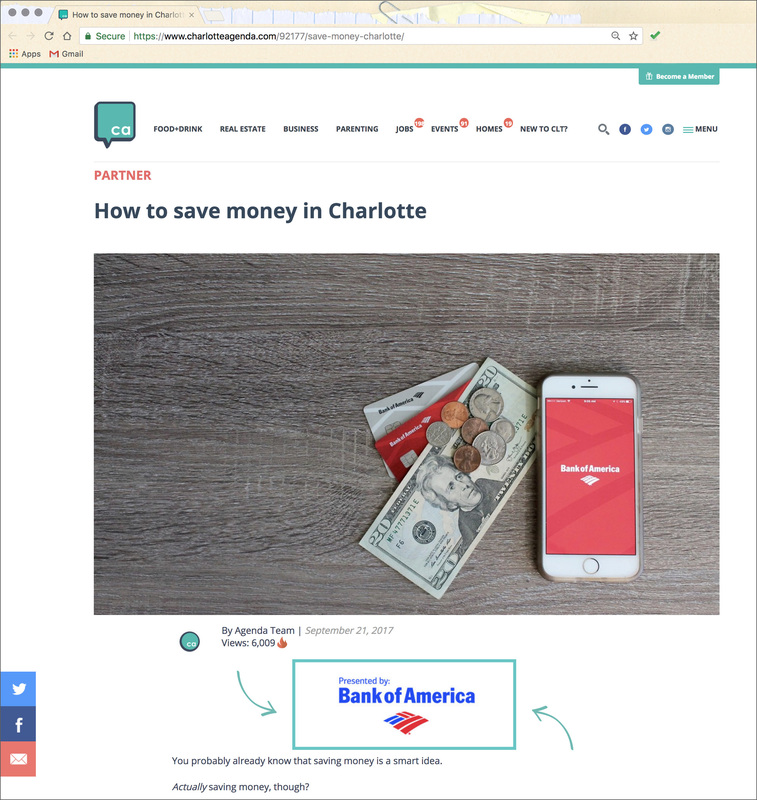 The Charlotte Agenda, a hyperlocal news website in our hometown also does this well – check out this guide to saving money in Charlotte, which is sponsored by Bank of America. Brilliant and useful, right? Need more convincing? Native advertising performs – these types of ads are viewed 53% more than banner ads. What other golden nuggets of learning do we have to share from the Digital Summit? Learn more here. What can Beyoncé teach us about marketing? We’ll admit – we attended this presentation at the Digital Summit solely because of the title. I mean, who doesn’t want to channel Beyoncé? Also, what can Queen Bey teach us about marketing? What’s SEO? Here’s what you need to know.